Faux rhinestones are all attached by a mesh grid, which can easily be cut with scissors for easy customization. Many event designers apply the ribbon/ wrap to decorate cakes, candles, vases, centerpieces to add some sparkle to the event. 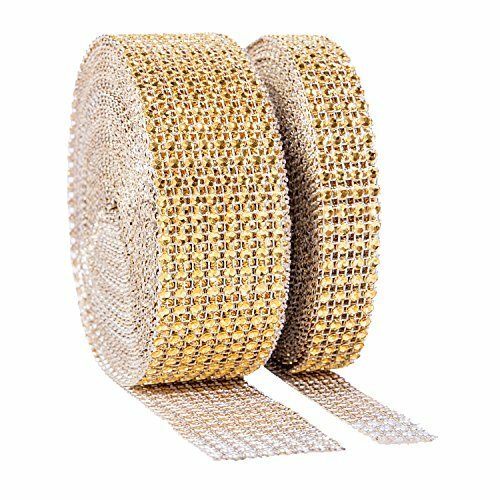 The mesh ribbon rolls gives diamond look, but does not include actual diamonds, crystals or rhinestones, it is a good way to enhance the look of your party. If you have any questions about this product by Shibell, contact us by completing and submitting the form below. If you are looking for a specif part number, please include it with your message.